You know that feeling when you put an outfit together and even before looking in the mirror, you know you got this? Yes, this outfit did that for me. 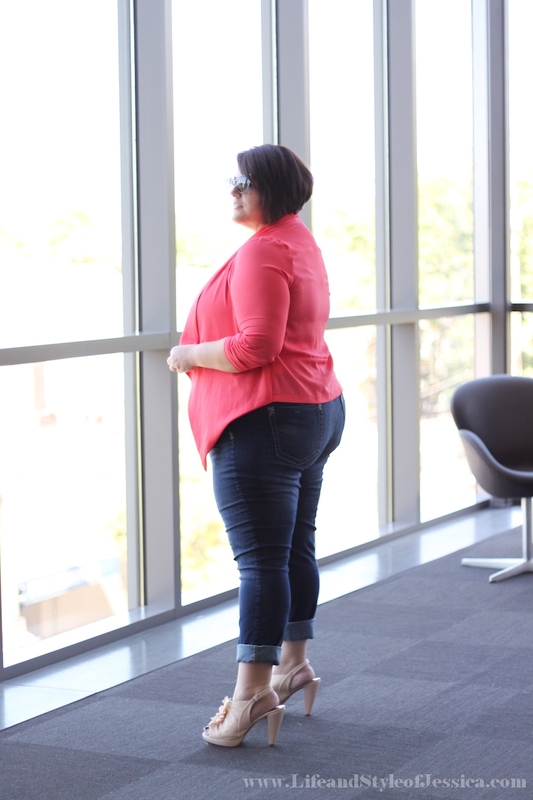 There is nothing I love more than a casual chic outfit which always includes a variation of denim, blazer, belt and sky high shoes (preferably comfortable ones). Mandy (bestie, business partner, full time photographer) and I had so much fun shooting this outfit at our new favorite spot - the new Vancouver WA library. And even more fun when I needed a black cami and without hesitation she strips and gives me hers (did I mention shes like a size 12 on top and she purchased this space age cami with a built in spanx??!!!! Lord help me I was a sausage!!) and the result was her wearing my size 24 tank that swallowed her whole...hey, it's all about the shot/outfit! That's a true friend. 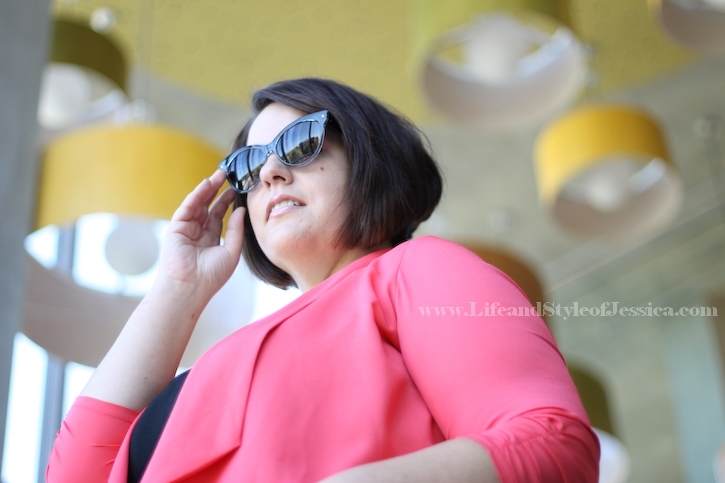 Figure out a way to utilize those glam-fabulous pinup sunglasses with my non-pinup wardrobe. 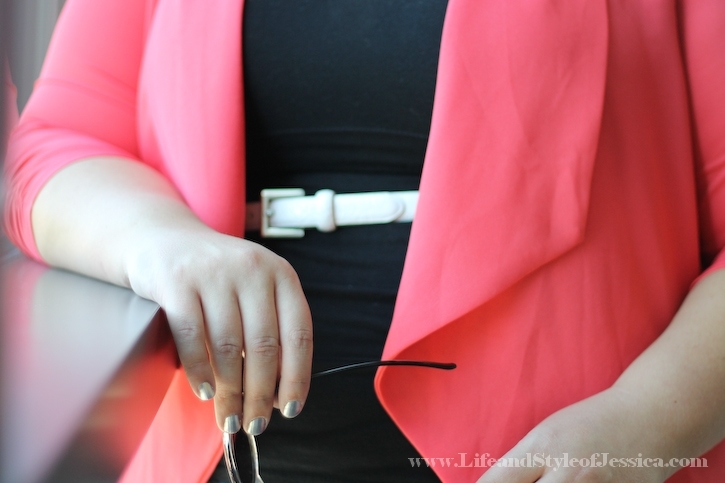 Outfit Details Coral Blazer c/o Curvaceous Boutique - http://www.curvaceousboutique.com/Coral-Open-Blazer_p_720.html. 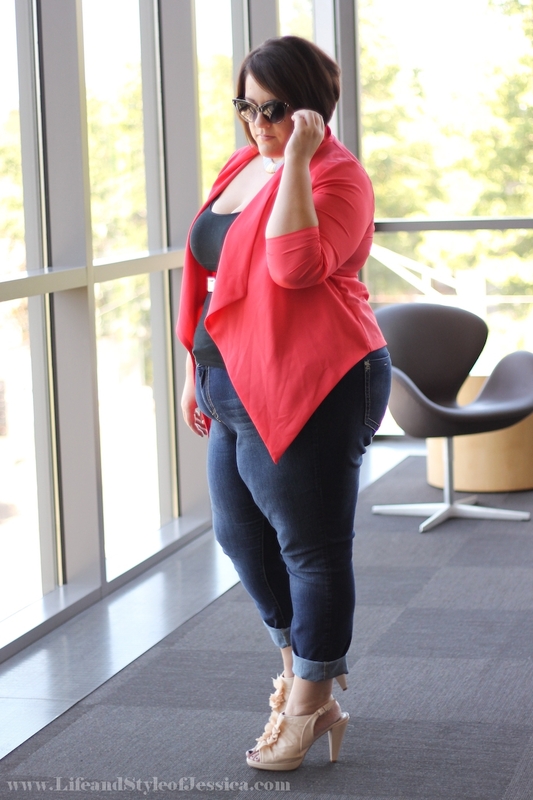 Denim c/o Torrid - http://rstyle.me/iik8expag6. Necklace c/o InPink - Similar http://www.inpink.com/necklaces/matte-gold-aztec-necklace-and-earring-set.html. 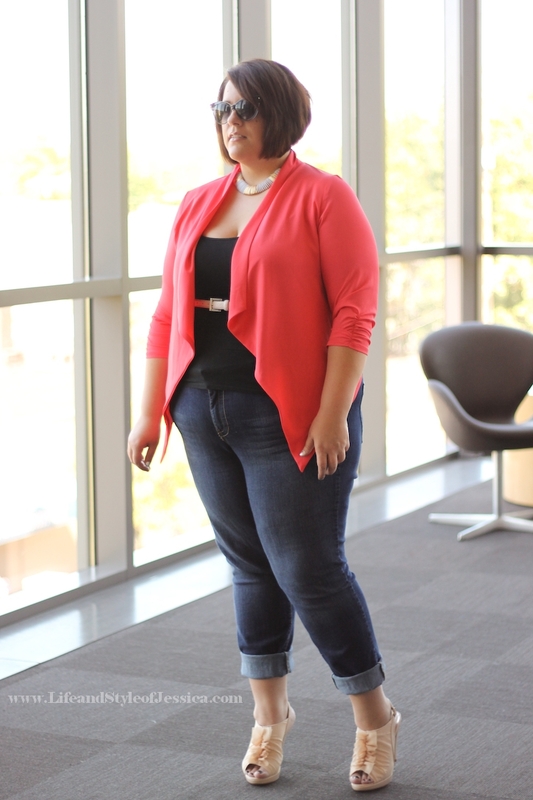 Shoes c/o Torrid - Sold out but this is a fab alternative http://rstyle.me/iik77ypag6. 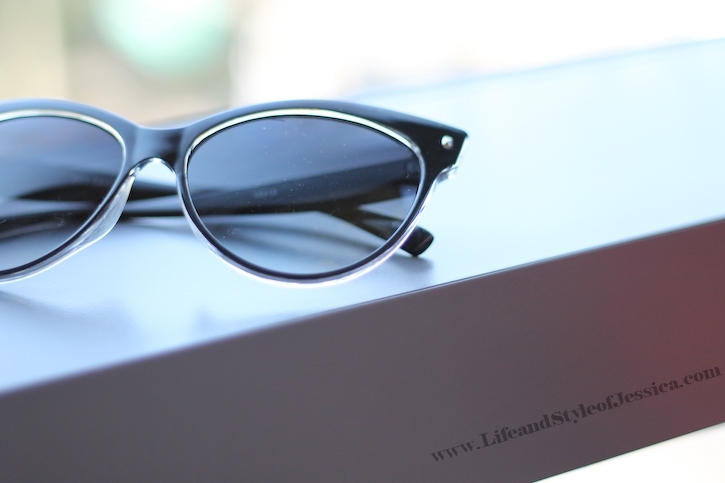 Sunglasses Domino Dollhouse - http://www.dominodollhouse.com/index.php?dispatch=products.view&product_id=450.